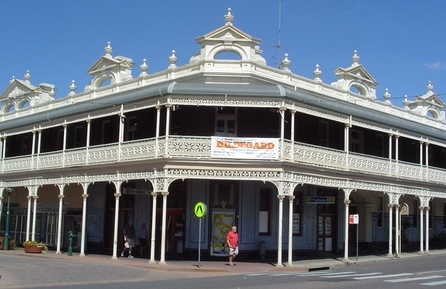 Located on the first floor of a building at the corner of Beardy and Jessie streets (113 Jessie Street), the Galloping Grape wine bar served as a venue for intimate live music during the 1970s and 1980s. It was ideally suited to solo performers or small ensembles playing anything from cocktail lounge music to blues/folk and jazz. This didn’t mean that rock bands weren’t sometimes booked. Brian Moore recalls that Constable Green and Moore played the Grape on a number of occasions. The band was so loud, however, that complaints were lodged by the Capitol Cinema (located acroos the road). Due to the nature of the establishment most of the musicians booked were locally-based. Advertisements placed in the University of New England’s student magazine Neucleus also indicates that ‘The Grape’ provided live entertainment Tuesday to Sundays during the late 1970s and early 1980s. 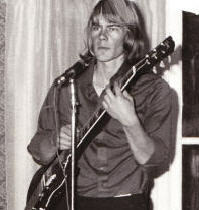 One of the groups to regularly play the ‘Grape’ in 1976, for example, was the Armidale Bush Band. The Grape was also popular with local musicians as a place to jam. The Robbie Gray Big Band, which played the venue frequently during the early to mid-1970s, regularly provided guest spots for other musicians to join them. A highlight of 1978, too, was a jam between locals Kim Constable and Garry and Nobby Osborne (Ukiah) and Cold Chisel‘s Don Walker (left), who was in town visiting his mother. 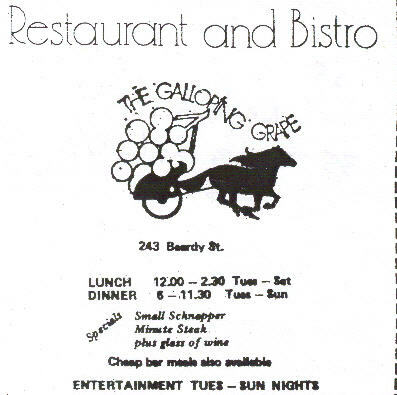 The Galloping Grape is now an Italian restaurant and bar known as the Red Grapevine. Sources: Clay Djubal (2009) • Neucleus (advertisements, 1979) • Brian Moore (interview, Aug. 2010) • Rod Noble (interview, Jan. 2010). Image: Neucleus 3 Sept. (1979), p. 3 (advertisement). The Hoadley confectionary company (best known for its Violet Crumble bar) held a national band competition between 1966 and 1972. A means of promoting local Australian bands and fostering new talent, the publicity also helped Hoadley align itself with the youth demographic (the company was best known for its famous Violet Crumble Bar). The other major sponsor (in the earlier years) was the Sitmar cruise line, which provided the coveted prize of a return trip to the UK on board one of their passenger ships. Other sponsors were also able to form an alliance with the competition at various levels. In the Armidale, for example, radio station 2AD was the prominent organisation linked to local event. Go-Set magazine also promoted the competition, serving as means by which bands around the country could be informed about when and where the various local or regional heats were being held. Winners of these heats were subsequently invited to compete at the state heats and if successful they were booked into a state final. Often bands would compete in two or more local or regional heats to maximise their chances of going further. The winner of each state final was then selected to compete in the national finals, held in July in Melbourne. Bands were judged on sound, originality, presentation and audience reaction. Over its seven-year lifep san thousands of bands entered the competition, as did many major groups of the time. The year alone attracted more than 500 entrants. The seven eventual winners were: The Twilights (1966), The Groop (1967), The Groove (1968), Doug Parkinson in Focus (1969), The Flying Circus (1970), Fraternity (1971) and Sherbet (1972). Among the bands which didn’t win were The Mixtures, The La Di Das, Jeff St John and Copperwine, Pirana and The Loved Ones. Some of the non-winners also included members who later became major stars, including Ross Wilson, Bon Scott, John Paul Young, John Farnham and Kerrie Biddell. The Northern Tablelands had some success in the competition in 1972, with Bogislav going all the way to the NSW State Final (coming second to eventual national winners Sherbet). That same year Shane (which came second to Mantra at Armidale) and Uralla band Trek (which came second to Bogislav in the Tamworth region heats) both managed to also make the Newcastle state heats. Brian Moore recalls that while neither band was originally entitled to go to the next stage several winning bands from Northern and North-west NSW (including Mantra) were forced to pull out through lack of money and a state-wide petrol strike. This subsequently left an opening for some runners’-up to appear in their place. Shane (1972 Hoadley Battle of the Sounds, Armidale) L-R: Nobby Osbourne, Bob Lane, Brian Moore, Brad Dunham, Wayne Yoemans. NB: To hear a selection of Armidale entrants which performed in this competition in 1971 and/or 1972 see the entries for Bogislav, Mantra, Purple Haze and Shane. Built in 1889 on the site of the old Court House Hotel (corner of Faulkner and Beardy streets), the Imperial Hotel is recognised for its lavish Victorian cast- iron balcony. Impies’ first publican, John Kickham, had the entrepreneurial acumen to initiate a transport service to and from the railway station. 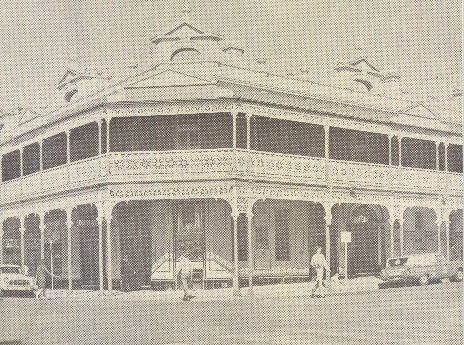 Although the Armidale City Council controversially attempted on numerous occasions during the 1950s and 1960s to have the hotel’s verandah and posts removed (other similarly designed premises in the city precinct were also targeted), this action failed due to the involvement of the National Trust and the Royal Australian Institute of Architects in 1969. The involvement of these two organisations, combined with widespread support throughout the local community, eventually led to the CBD precinct being declared the Armidale Conservation Area in 1975. 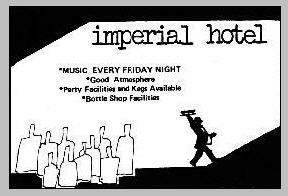 During the 1970s and early-mid 1980s the Imperial Hotel was one of Armidale’s leading live music venues, and arguably the strongest supporter of local bands. This commitment to live music is believed to have been started by publican Vic Snell in the late 1960s. By 1970 the policy was to have a live band on Friday nights with piped music on Saturdays. Although the entertainment area could hold a maximum of only around 300 people (and the stage was quite low), this often worked to create a more conducive ‘rock’ atmosphere. Some of the more widely known touring bands to play the venue during this period included: Kevin Borich Express, Goldrush, John Farnham, The Zarsoff Brothers, The Numbers, The Saints, Matt Taylor (ex-Chain), Mother Goose and Tommy and Phil Emmanuel. One of the Emmanuel brothers’ gigs saw Tommy playing drums. John Farnham’s career in the late 1970s was very much in decline and he drew only about twenty people when he appeared in Armidale around that time. One of the most popular bands to play Impies during the 1980s was Lismore-based Idol Minds. Most local bands eventually played the pub if they got their act together. 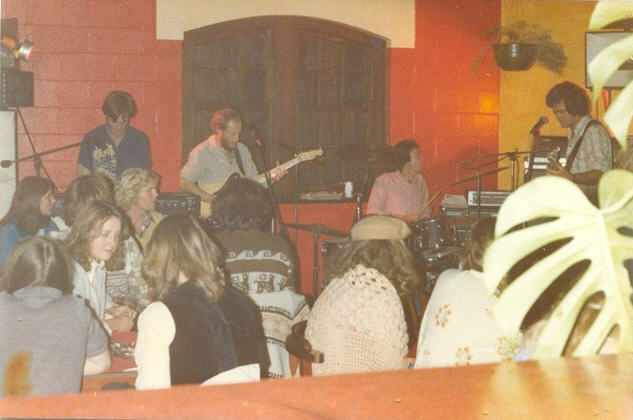 Among the more popular bands to play there regularly were Ukiah, Constable Green and Moore and The Inmates (1970s), Kordz, Shoot the DJ, Helga and the Blitzkrieg and The Zip (1980s). One of Shoot the DJ’s most memorable Impies gigs saw the band set the entire stage up to look like an apartment (complete with dining table and chairs, a sofa, cupboards, paintings, plants and a double bed among other things) and then gradually invited friends up on stage to create a party. The Imperial Hotel was extensively renovated in the mid-late 1980s, although no changes to its outside appearance were allowed. One of the most significant internal changes, however, was the redevelopment of the entertainment section into a dining area, thus ending the pub’s once significant association with live music. 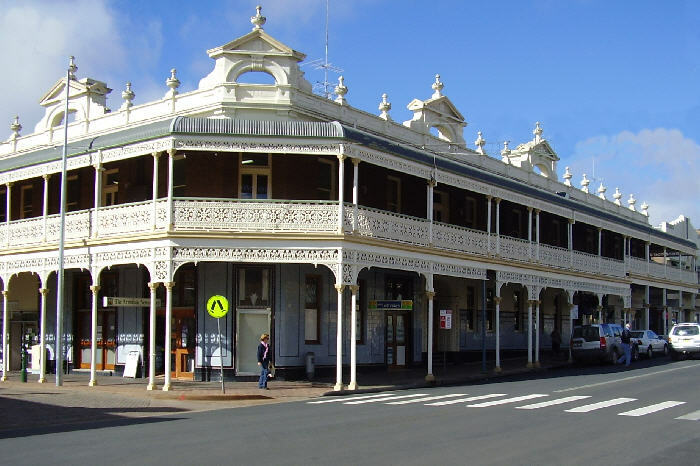 Sources: Armidale Self-Guided Heritage Walk (online) • Clay Djubal (2009) • Armidale Dumaresq Shire Council (Heritage File, 12301 – online) • “The Drinkingman’s Guide to Armidale” Neucleus 23 Sept. (1970), p. 10 • Fran Stahlut (correspondence, 2009). Images: Top photo by Clay Djubal (2010) • Black and white photo by Roy Evans, courtesy of Journal and Proceedings (Armidale and District Historical Society) 11 (1968), p. 36 • Advertisement from Neucleus 17 Aug. (1977), p. 10. An Inverell sub-branch of the RSL was established in 1919 as part of the Returned Service’s League movement which began in Australia in 1916 (the League was first called The Returned Sailors and Soldiers Imperial League of Australia). The Inverell Returned Servicemen’s Memorial Club (RSM) was built in 1972. Live entertainment was invariably offered on Friday and Saturday nights throughout the 1970s and 1980s period. The bands and performers ranged from typical club (middle-of-the-road) shows to rock bands from the Northern Tablelands as well as nationally touring acts. 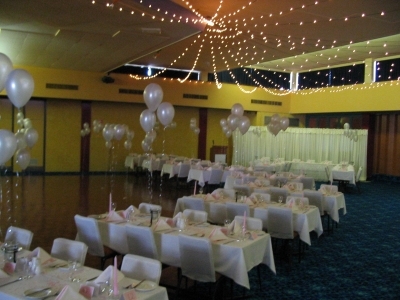 The club was has also been popular as a venue for school dances and formals with the two local high schools – Inverell (1937) and Macintyre (1973). Situated in the Armidale Mall, Lane Music Co was owned and operated by brothers Ron (Rocky) and Robert (Bob) Lane. Having been involved in the local music industry as musicians for a number of years their intention in establishing the music was to offer a specialist ‘rock industry’ service to local bands and musicians that had until then not been available. The brother’s only real competition in this respect was Newell’s Music Centre (also located in the Mall), but that store had traditionally focused on the city’s classical and school music market. In addition to an extensive range of electric guitars, basses, drums, synths and miscellaneous equipment, the Lanes’ also offered a PA and lighting hire service. During the late 1970s the store advertised extensively in the University of New England’s student magazine, Neucleus, in an attempt to target the city’s increasing expanding student market. The store also provided employment opportunities for a number of local musicians. 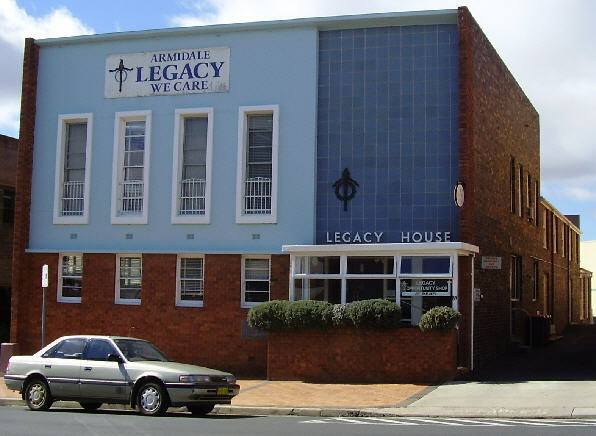 Armidale Legacy was initially established as a contact Group of Sydney Legacy in 1945. Three years later it became a stand-alone club providing support to families of Service personnel within much of the Northern Tablelands. 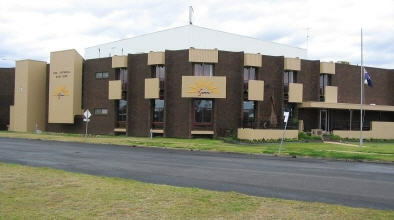 The Armidale Legacy Hall, located at 89 Faulkner Street (opposite the Armidale Police Station), was built in 1959 at an eventual cost of £35,000. The local branch had only been able to raise £1700 by March 1958, so a major fundraising program was put in place. Famous radio star Jack Davey (who hosted the Ampol Show) even performed in the Town that year and local radio station 2AD held an all-day event which raised £3300. The Apex, Bowling and Golf clubs, Teachers’ College, Co-op Society also helped raise the remaining funds. The building itself was erected largely by volunteers, who supported the necessary tradesmen. It was subsequently opened on 3 June 1959. While Legacy House is not believed to have been used as a rock band venue, it was popular with local community groups and private individuals who organised local musicians and bands to play for their events. 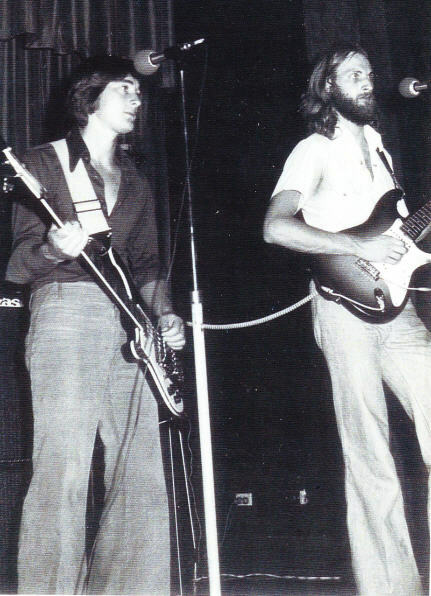 As a teen-age Jehovah’s Witness in 1975 Rod Clay played his first-ever musical performance there – a four piece JW band that played (very badly) covers by The Beatles and The Sweet (‘Alexander Graham Bell’ from memory). The hall, which is licensed to hold 100 people, has long been popular as a rehearsal space for numerous theatrical productions, including those by the Armidale Drama and Musical Society, the Armidale Eights (Square Dance Club) and the Armidale Folk Dance Group.